Caring for a beautifully manicured lawn is something that should take place on a year-round basis. During the fall months, preferably September or October in our area, one of the main practices that property owners should do for their lawn, is to aerate. 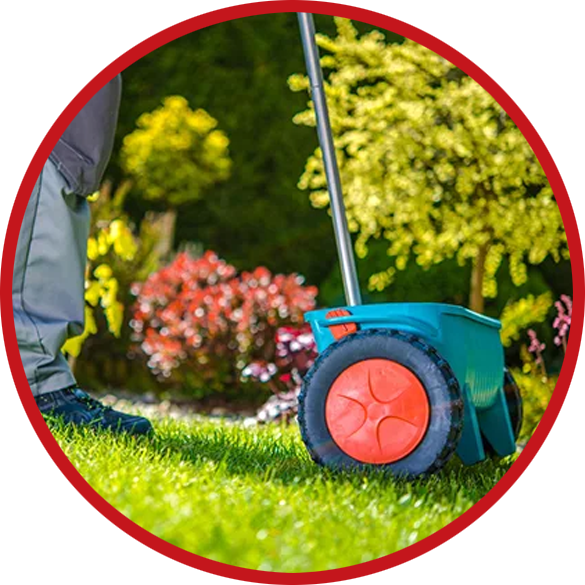 Outback Lawn Service company offers aeration services for all of our residential and commercial customers. Aeration, otherwise known as core aeration, coring, spiking, or slicing, is the basic process of removing small plugs of soil across the entire surface of the lawn. This process is completed in order to improve the soil’s natural air flow, and to allow new grass seeds the ability to get deep within the soil. Typically, once the aeration process is complete, then a follow-up process of over seeding is performed. Seeding an aerated lawn, allows the grass seeds to fall into the un-plugged holes, and gives the seeds a deeper base, where they can take hold and root. When proper aerating and seeding is preformed, the grass will have the best chance for growing strong and healthy during the spring growing season that will arrive in the following months. Aerating your lawn is a vital step for providing a colorful, solid grass surface, and for keeping your entire lawn healthy and thriving. If you need assistance with your aerating project(s), then contact the professionals from Outback Lawn Service today. We have the knowledge, the ability, and the tools required to provide you with expert aeration services.